Any and every business organization aims at profit maximization, there is no denying to this fact! However, at any point of time every small business in the world turning profitable is an unachievable feat. When the brilliant minds come together, they aim to accomplish the impossible and that's what these three co-founders of Slick-Account-Sanmaya, Bibhu and Jyoti thought of doing. They aim to revive the dying small business by extending hassle free financial accounting support. It was a not a premeditated decision, though. It all started when they endeavored to recover their old business from a predicted loss. Thus emerged their successful business model Slick Account. It's a fact that 85% of strat-ups succumb to pressure within first five years.It has been analyzed that around 42% fail due to lack of understanding of the performance of their finances. That’s precisely where SA offer the remedy. 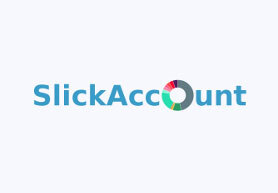 SlickAccount(SA) is the slickest way to manage small business accounts. It’s a profitability as well as accounting dashboard for small businesses (SMEs, startups, professionals, etc) which allows the client to focus more on their business expertise while in the backend, accounting complexity is handled by SA. Business Understanding and strategic decisions have been acknowledged to be most important pillars for the success of an enterprise. This is evident in the appointment of Business Analysts drawing fat paychecks by the big corporate houses.SA offers similar analyses but in the form of a simple to handle software capable of highly complex search facility. Superior categorizing facility is SA’s USP (unique selling proposition).It is embedded with smart features which address the following issues; How much you need to earn as per current spending to be profitable? Whether the pricing is correct? It warns well before your cash in hand dries, so that you can arrange alternate fund or more income. Goal setting and budgeting is done for each month while keeping you abreast where you stand in real-time. It has a built in cool tagging feature which can be used to understand different marketing channels and any other metrics you want to analyze. You can’t miss SA’s smart invoicing system.No wonder SA currently is helping small businesses in 20 nations across the world. So if you are a budding entrepreneur and feeling messed up due to unmanageable accounts, then you exactly whom to turn to, and what to opt for, SA, ofcourse! Sanmaya, Bibhu, and Jyoti, the trio are the pathbreakers who certainly deserve a huge applause for their commendable efforts as they have devised something absolutely wonderful for small businesses which are largely instrumental in generating employment.What’s heartening is they continuously strive research and find innovative ways to guide small businesses turn profitable. They are indirectly acting as growth propellers of Smart City Bhubaneswar.